Product prices and availability are accurate as of 2019-04-03 03:59:53 EDT and are subject to change. Any price and availability information displayed on http://www.amazon.com/ at the time of purchase will apply to the purchase of this product. Harking back to sailors' lanterns, Hatteras' clear seeded glass will sparkle and brighten your home. 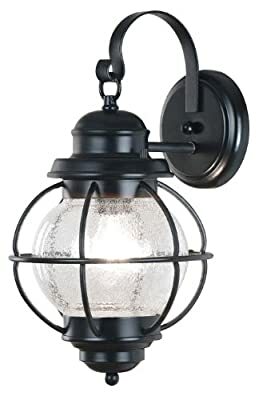 The lanterns work equally well indoors or out.